What is the difference between Veeva Life Sciences and Veeva Consumer Goods & Chemical? What software applications does Veeva offer for the consumer goods and chemical industries? What are Veeva’s security protocols? What makes Veeva different from other software vendors? What professional services does Veeva offer? How does Veeva support customers after go-live? Founded in 2007, Veeva NYSE (VEEV), is a leading global provider of industry-specific, cloud-based software solutions for the consumer goods, chemical and life sciences industries. Our applications enable manufacturers to realize the benefits of a modern, cloud-based platform to manage the product journey and bring innovative, high-quality products to market faster with a focus on industry-specific functionality, quality and regulatory compliance. Committed to innovation, product excellence, and customer success, Veeva has hundreds of customers with users in over 165 countries, ranging from the world's largest corporations to small and mid-sized businesses. Veeva is headquartered in the San Francisco Bay Area, with offices in Europe, Asia, and Latin America. Veeva has spent the last decade building the industry cloud for life sciences comprised of more than 25 applications tailored to address the unique complexity of the industry. Veeva is taking the same industry focused approach and building out two new industry clouds for consumer goods and chemical. For too long, enterprises have been forced to contort and adjust their internal processes to “fit” the software they were implementing. But shouldn’t it be the other way around? For the first time, a pure cloud software company has built “fit for purpose”, industry specific solutions that address the unique demands of the chemical and consumer goods industries. Veeva’s goal is to chase complexity; focus on the development, regulatory, and quality details specific to an industry; and become a trusted and appreciated partner not just to companies in the consumer good and chemical industries; but to the industries themselves. QualityOne: one application to manage quality across the entire product journey. BrandOne: unified solution for managing marketing claims and assets across the digital supply chain. RegulatoryOne: single authoritative source for regulatory content and product registration data. Veeva eTMF: enables active electronic Trial Master File (eTMF) management for real-time inspection readiness, visibility, and control. All Veeva consumer goods and chemical applications are built on the proven Vault cloud application development platform that supports documents, data, and workflow with tight configurable controls and extensive audit trails. The Vault Platform enables customers to configure, integrate, and extend Vault applications, or to create their own applications. The Vault Platform is architected to meet the most rigorous usability, scalability, performance, validation, regulatory and security requirements. Built in Java, Vault leverages open source technology and select web services from Amazon. 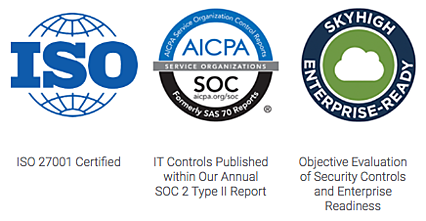 The Vault Platform is delivered and accessed through the web, and hosted at SOC 1 Type II and ISO 27001 certified global data centers. The Platform’s three annual releases are Installation Qualification (IQ) and Operational Qualification (OQ) validated and come with a comprehensive validation package to substantially reduce your validation effort. IT teams or business power users can rapidly modify existing applications or configure new cloud applications with the simple point-and-click interface. Vault’s unique ability to manage content, data and workflows in a single platform enables organizations to quickly deploy powerful applications that manage end-to-end processes. Organizations around the world trust Veeva to host their most sensitive information. Veeva only offers modern, secure global multi-tenant cloud applications hosted at SOC 1 Type II and ISO 27001 certified global data centers. By delivering and accessing Vault applications through the web, people can collaborate from anywhere quickly and securely. Built for scale, Vault applications support high volumes of data, content, and performance around the globe. Our commitment to customer success spans every level of the company and every stage of the product journey. From day one, Veeva has declared and leaned into customer success as one of continually earned with every application a customer deploys. For that reason, Veeva only uses one year contracts. Customer success at Veeva is defined as “a customer that is live, happy, referenceable and looking for opportunities to innovate and work more closely with Veeva.” This is not possible without a customer realizing the value they expect from their investment in Veeva, and end users enjoying and using the deployed Veeva application(s). Our commitment to customer success is inherent in Veeva’s business model, and it is important to clarify “why”. First, Veeva focuses on solutions tailor-made for the consumer goods, life sciences, and chemical industries. Veeva’s customers, and Veeva’s focus, are concentrated into these specific industries that are highly networked as a community. If Veeva fails a customer, not only is that customer likely not to expand their partnership with Veeva, other companies in that industry are going to take notice. Second, Veeva is software-as-a-service (or multi-tenant cloud) which means customers can easily “turn off” their subscription to the Veeva applications if they are not getting the expected value from their Veeva investment. For these reasons, customer success at Veeva is pervasive and spans every facet and function of our teams and the customer journey. Account executives (sales professionals) at Veeva have no individual quota and variable compensation is based on team goals. This enables our account executives to only engage with companies where our solutions are most likely to be successful in adding value, helping customers achieve their goals, and creating a long term partnership built on merit, trust, and mutual respect. Veeva is a software company, yet more than 25% of the company’s workforce is allocated to ensuring Veeva implementations are done right. Each implementation is a learning opportunity and an avenue for Veeva to improve, so the Veeva professional services team not only does the work, they are a direct connection from the customer to the Veeva product organization. Additionally, our internally-based services organization is measured by business value delivered from Veeva applications, rather than ”hours” of consultancy or staff augmentation. With three releases a year, Veeva is constantly thinking about how our applications can be improved. While some new features and capabilities come from industry or software trends, 50% of the Veeva product roadmap is dedicated to customer-directed requests. Every customer is assigned a named product advisor who understands not just what Veeva applications have been adopted by a customer, but why they have been adopted. The product advisory team also manages ongoing customer product education as applications advance in each release and can offer guidance in terms of which capabilities will be of benefit/applicable in each customer’s unique environment. Product support is global, 24/7, and included with every software subscription. The product support team is designed to work directly with Veeva System Administrators to quickly address any issue. Veeva provides professional services to help our customers plan, implement, validate, train, and support their investment in Veeva applications. The Veeva professional services team brings a well-balanced blend of domain-expertise and industry-leading consultancy when the time comes to execute on our customer’s vision. The Veeva implementation strategy and model is defined through six clear phases that consist of planning, solution design, testing, data migration, system integration, and training. The core tenets of this model focus on an iterative process where a partnership is formed to ensure return on investment, flexibility, and transparency throughout each milestone. Our primary goal is to offer a services experience that will provide unprecedented value, accelerate time to value, and foster a long term relationship built on trust and execution for years to come. From inception to completion, Veeva will prioritize and focus on the needs of our customers, evolving industry requirements, and how our products will facilitate innovation. Customers will be able to quickly and clearly visualize metrics related to productivity, user adoption, and challenges during each effort. Learn more about Veeva's Quality, Commercial and Regulatory Solutions.